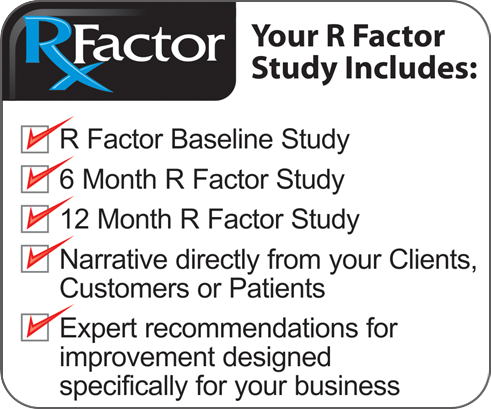 R Factor Study – Our product is deceptively simple but the information is priceless. If you don’t believe us, take a minute and visit our calculators to see what the LTV is for your business of obtaining a new customer or keeping an existing one. Research shows that it can cost you as much as 10X the amount to keep a customer as it does to get a new one.